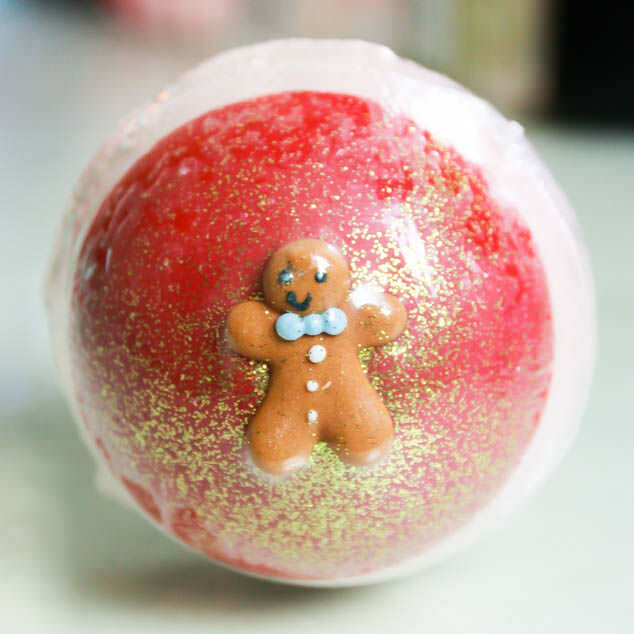 On Christmas me and my two sisters received some fun little bath bombs as stocking fillers that my Mum picked up from the Yorkshire Soap Company. They are all from the bath blasters range so I thought I would share with you a little Bomb Cosmetics review. I have really loved Bomb Cosmetics candles in the past, many of you will recognise them as the candles in tins, often with little wax hearts on the top and fun names and scents. 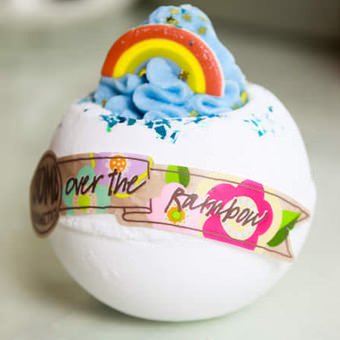 My bath bomb was the Over The Rainbow Bath Blaster as I help at Rainbow Guides. 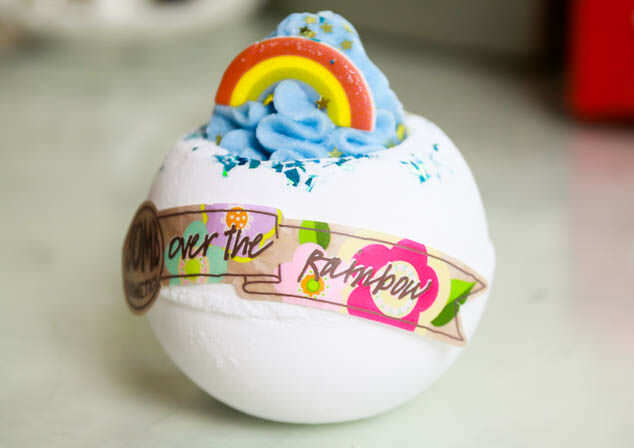 The bath bomb itself looks so lovely from the outside but with the name I wasn’t sure what to expect when I used it and if my bath would be multicoloured. This is my first bath bomb demo video but I do have a few more lined up so I hope you like them. Here is a short video demonstrating the results of the Over The Rainbow Bath Blaster. As always please like and subscribe to my Youtube Channel if you are new! My bath didn’t end up rainbow shades but it was very milky and smelt lovely. The bath bomb was a little oily and the glitter from the top of the bath bomb did get everywhere but other than that I loved it. 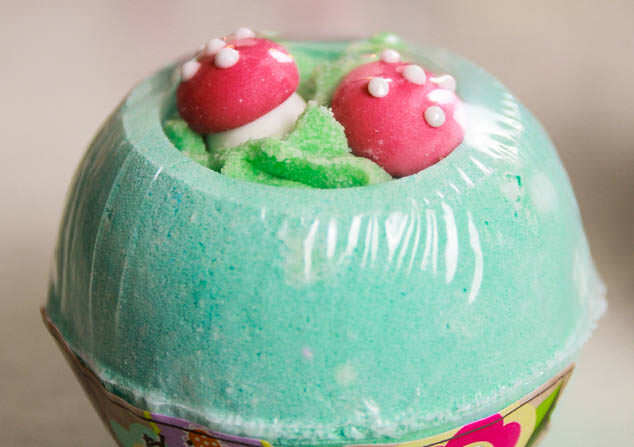 My sisters bath blasters were the cute mushroom Flying High Blaster 160g and the Christmas Gingerbread man You Can’t Catch Me Bath Bomb 160gm which I can now only find available in the Bomb Cosmetics Bake Me Away Gift Pack. Have you ever tried Bomb Cosmetics?